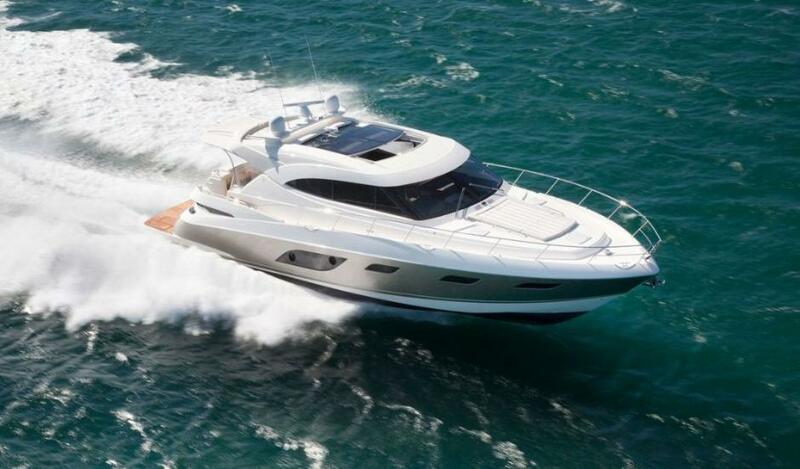 RMarine Riley have collaborated with local fine wine and food producers, and will be showcasing their 2015 new range of motor yachts. Range Rover, Jaguar and a Mastercraft Wakeboard boat will be also be on site and displaying their top range. Below is a little about what you will be able to see next weekend. At RMarine Riley we believe the initial purchase of your boat should mark the beginning of a rewarding lifelong journey. Experience the excellence that has always been the signature of RMarine Riley and Riviera at The Quays. Riviera is the largest and most respected luxury boat building company in Australia and a major player in the global marine industry. Today, the company builds luxury boats from 36 to 85 feet in length across five lines: Open and Enclosed Flybridge, Sport Yachts, Offshore Express and Motor Yacht models. Targeted at the discerning international boating enthusiast who values timeless character, exclusivity and repeatable quality, Belize Motoryachts are designed and manufactured according to the unofficial luxury industry principles of 'no shortcuts; no compromises', offering the highest level of comfort, individuality and performance. MasterCraft has been shaping the boating industry since 1968. More than four decades after the original MasterCraft made its debut, our goal remains the same - to continue building the world's best ski, wakeboard and luxury performance powerboats, year after year. The rider is usually towed behind a motorboat, typically at speeds of 30–40 km/h (18-25 mph), depending on the board size, rider's weight, type of tricks, and rider's comfort. This speed could also depend on the year, make, and model of the boat because some boats, which are not designed for wakeboarding, create a different size wake which the rider may not feel comfortable with. But a wakeboarder can also be towed by other means, including closed-course cable systems, winches, and personal water craft. The WWA sanctions over 400 days of wakeboarding, wakeskating and wakesurfing events each year and in April Renmark hosted Australia’s best Wakeboarders in South Australia’s part of the Murray River for the 2015 Nationals. Renmark has hosted the Wakeboard Australia Nationals twice in the last 10 years and with the course right in front of Club Renmark, this luxurious location for the 2015 Wakeboard Australia Nationals gains in popularity each year. The last few years have cemented Australia as the home for the best wakeboarding talent in the world and MasterCraft team riders Harley Clifford and Tony Iacconi dominate the world’s best behind a mighty MasterCraft XSTAR. When dealing with Northern Beaches Land Rover you’re dealing with a real person, not a faceless corporation, and with the backing of AP Eagers - a publicly-listed automotive retail group - you can be assured that we'll be here today and tomorrow. Our relationship with our customers extends beyond the sales process and into the ownership experience where we provide service, parts and advice as necessary. Land Rover was conceived on a beach in 1947, and 66 years on, here on the Northern Beaches of Sydney we are following their heritage. Northern Beaches Jaguar, Sydney offer a full range of New Jaguar models including the award winning XF, flagship XJ, luxurious XK, as well as the new addition to the range; the F-TYPE. We also hold an extensive range of approved used Jaguar cars including the X-TYPE and S-TYPE models. Our Aftersales facility provides factory trained technicians to attend to your car using the very latest Jaguar Diagnostic equipment to keep your Jaguar tuned to perfection and in showroom condition, and our commitment to use Jaguar genuine parts and accessories mean there is no better way to protect the integrity of your vehicle and its resale value. As one of our valued customers you are always welcome to drop by. Alternatively, if you would prefer to pick up the phone we would be happy to speak to you. Either way we look forward to welcoming you soon. RAISE your hackles, cat people. Jaguar’s ruthless F-Type Coupe has arrived, completing the mainstream F range with an emphatic note. We started Macquariedale back in the early 1990’s as an escape out of the Sydney corporate world. Derice and I (Ross McDonald) started the dream with an acre or so of Shiraz and Chardonnay close to the Hunter River at Branxton. From those early steps a fully Certified Organic/Biodynamic vineyard has evolved at Sweetwater Rd, Rothbury, being in the Lower Hunter winegrowing region. The vineyards now comprise of approximately 15ha which are home to outstanding Shiraz, Cabernet Sauvignon, Merlot, Semillon, Chardonnay and Verdelho. We also have a small plot of Pinot Noir which is just coming into maturity. Derice, our children and I have immersed ourselves in country life and live sustainably producing garlic, olives and olive oil and beef cattle, as well as growing vegetables and many varieties of fruit. Following our natural winemaking passion, our small sustainable winery specialises in converting small parcels of grapes into the most delicious natural wines available in Australia. We developed a Wine Club – Savour Life Club – to be able to share our wines with Members who also love beautiful wine and appreciate sustainble life. Our wines can also be sourced through independent speciality bottleshops and fine local restaurants. As the organic/biodynamic approach has taken hold we have found that our adjacent neighbours in Sweetwater Rd have taken the plunge and joined into our Biodynamic Certification. This evolution has enabled Macquariedale to expand our range of varieties and to be more self sufficient with our grape supply. We anticipate that this cooperation will extend to other local vineyards who wish to follow this sustainable path. The grape varieties that we have in our vineyards were first planted in 1999 are the most successful varieties grown in this region and have a long history of producing outstanding wines in the Hunter regional style. The Quays Marina, Church Point, the venue for the Pre Sydney International Boat Show, recently won a Clean Marina Award. 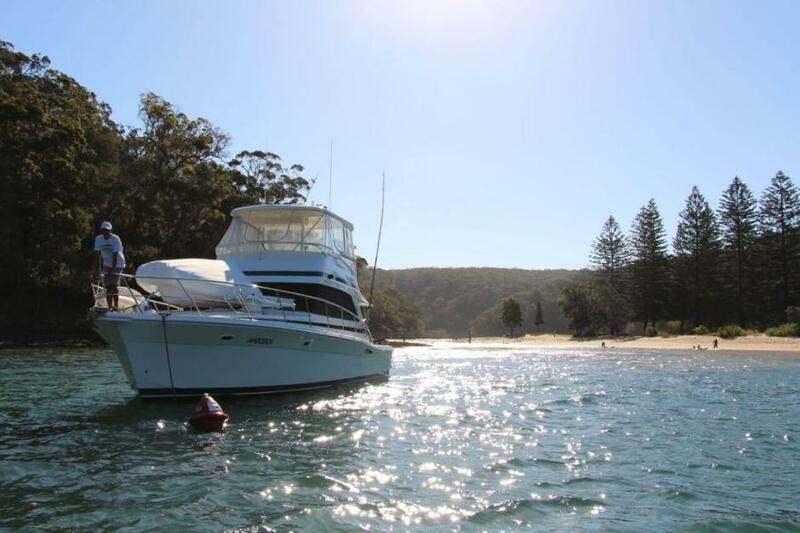 The Quays Marina is a modern, friendly marina in the heart of Pittwater on Sydney's Northern Beaches and has everything you will need for your vessel as well as a host of services and the Marina Café. 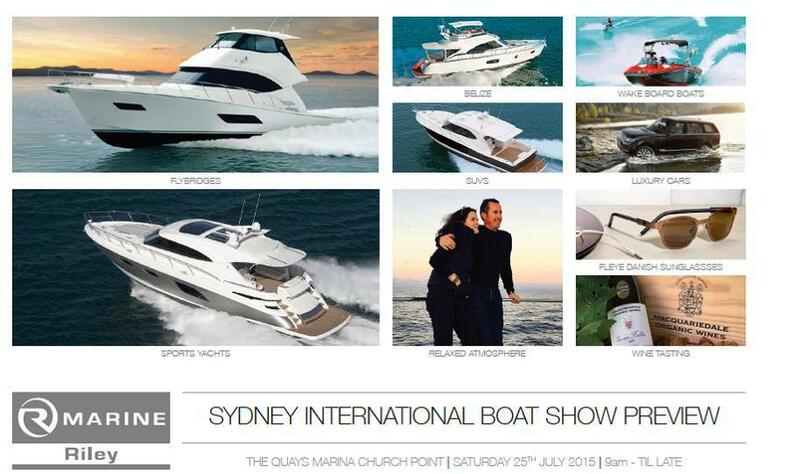 The Pre Sydney International Boat Show will run all day of the 25th of July until around 9pm in the evening. 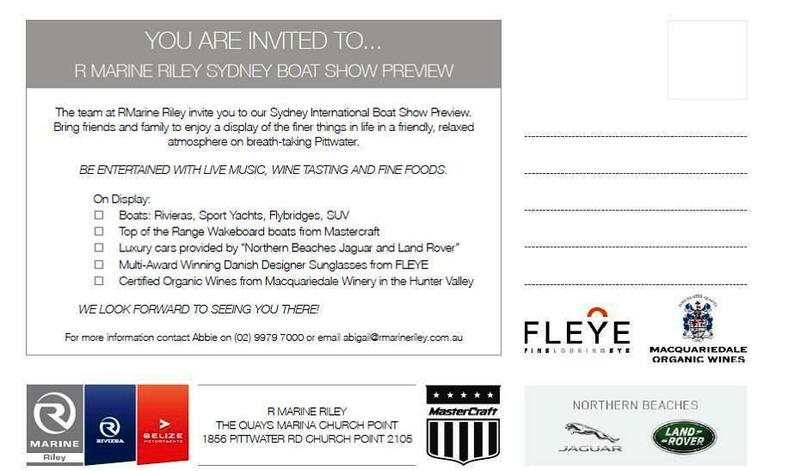 There will live music, cheese and some of those wonderful wines to taste and you will see the 2015 range of new motor yachts, Range Rover, Jaguar and be able to see first hand what makes a MasterCraft wakeboard boat stand out from others. Report by A J Guesdon, Images supplied, 2015.